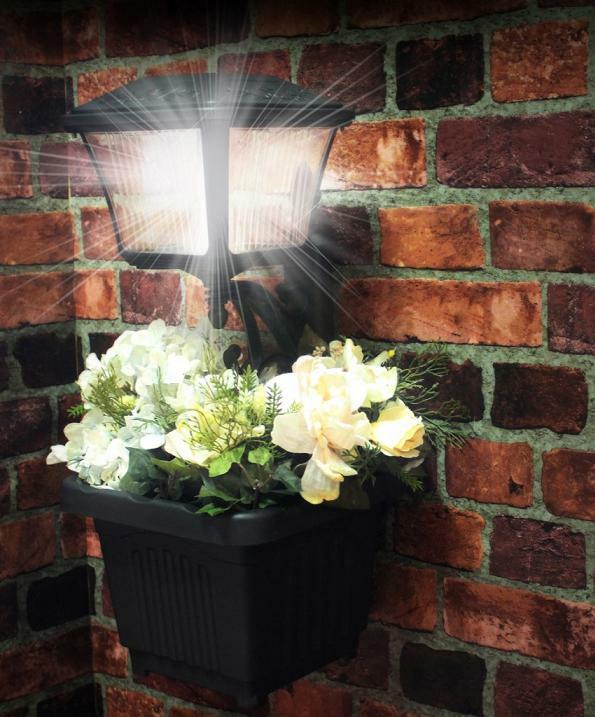 Add these two solar lights with planter to your patio, deck, porch or any outdoor area to provide your home with light and a colorful curb appeal. 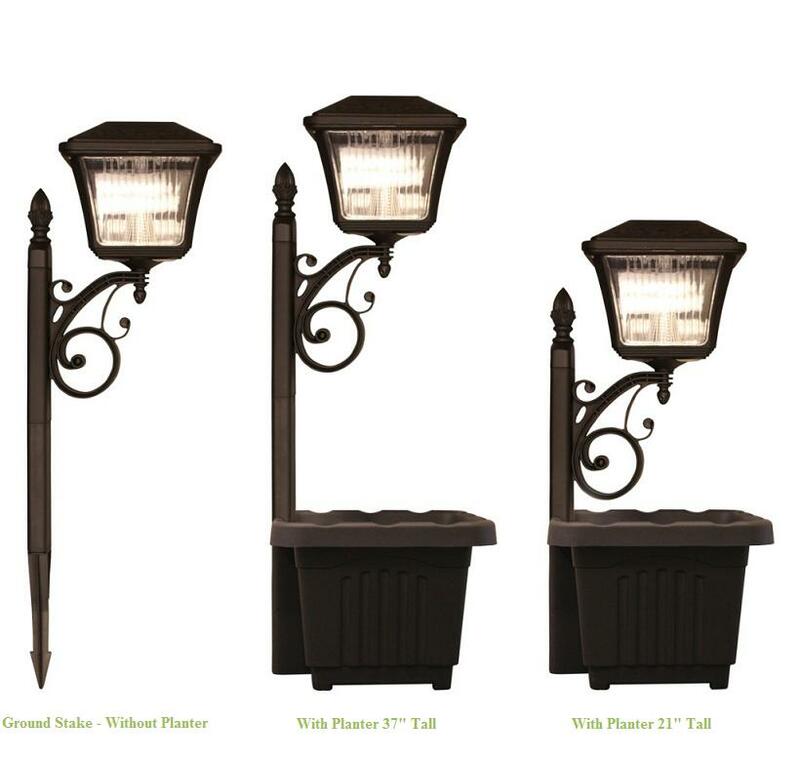 This solar light features adjustable heights from 21 to 37 inches, and can be installed three different ways; stake in the ground, free-standing, or mount on a wall, can be installed with or without the planter. With its four super bright LEDs and patented cone reflector this solar light will provide a bright light for your home at night. Add your favorite plants to the included planter to add color and fragrance to your patio or porch day and night. Product Measurements: 33" x 9.5" x 9.5"